Why do artists need guidance and assistance to write about their art? It’s a fact for many artists. Creating a painting is one thing, describing the process of how that happened is another. An artist knows, usually, why a subject or theme moves him or her to paint it. There is a spark that must be expressed. It is a drive that comes from inside. But to put that drive into words can stump many artists. Some even panic at the thought of putting it down on paper for others to read. How can an artist write an emotion, a thought, an inspiration? Sometimes there simply are no words. Once, in an art forum, I put forth the possibility that artists are sensitive people by the very nature of being an artist. Very quickly, I was verbally slapped down for making an assumption. However, I hold to the original suggestion that, perhaps, artists are sensitive and thus are open to seeing beauty, insight, emotion and other things that may have been missed by the average non-artist person. That sensitivity may be a part of the difficulty of writing about a very personal process that comes from a deep inner place. Silvia Kolbowski writes in her blog that the majority of the art publications of the 1980’s and 90’s published mostly art criticism. Every artist knows putting their art out there for others to criticize can be painful. Adding words that could potentially make that criticism stronger can add to the pain. Sensitive or not, who wants to put themselves out there to be the subject of some witty critic using you as the focus for his or her latest quotable zingers. It’s a tough call. However, having the right words to describe the artistic process can go a long way in solving the problem and increasing confidence in writing the artist’s statement. Author Vicki Krohn Ambrose has a new blog post on ways artists can come up with words describing their work or process. Following the suggestions Ambrose put forth hit the spot. Once the process is set in motion, the words begin to flow. It actually starts to be a game of sorts. After a bit of practice, the fun begins and words are spotted everywhere and incorporated into the artist’s new rewritten statement. This new statement can become a work of art in itself. When words are hard to come by in describing the process, try the suggestions Ambrose outlines in her blog post and also her book. Make a game of it or see it as a new challenge to be conquered. And you can always follow what Georgia O’Keeffe said, “I never read what the critics write.” Armed with new, exciting words of description and ears closed to the sound of the critics, writing an artist’s statement becomes a fun word game. And who doesn’t love to play games?? Vicki Krohn Ambrose’s book, Art-Write: The Writing Guide for Visual Artists can be found at Amazon (here). 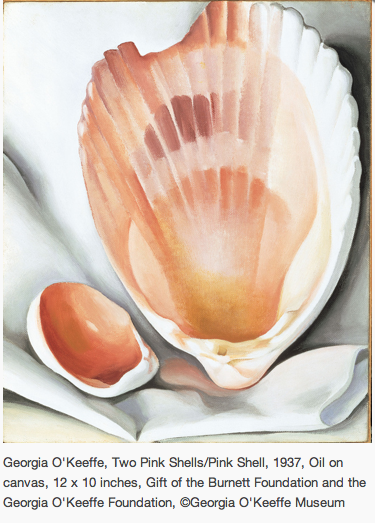 This entry was posted in art, art education, art museums, artists inspiration, creativity, drawing, inspiration, Painting, Uncategorized and tagged Art, Georgia O'Keeffe, Visual Arts, Word game. Bookmark the permalink. I would agree and say that artists are sensitive people. helpful information here in the submit, we need develop extra techniques in this regard, thanks for sharing.